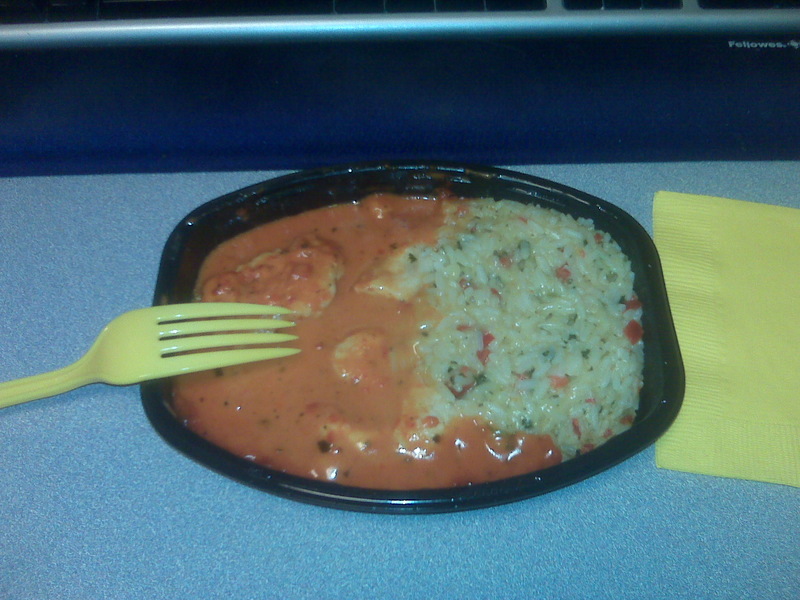 This picture doesn’t really do it justice, but my lunch today is orange. Bright bright orange. To make matters worse, the only fork I could find in the office was from last week’s baby shower. It’s yellow. Like Big Bird is yellow. I can’t tell if this combination is going to give me indigestion or be a ray of sunshine in my cubicle-gray day. I wonder what it’s like to eat real food for lunch every day, rather than frozen, florescent sodium nuggets of despair. I also wonder what it’s like to not eat in front of your computer monitor every day. Of course, if I didn’t, I’d probably have to make nice and eat with my coworkers. I’ll take the monitor, thanks. This entry was posted in Working Girl. Bookmark the permalink.